Where Should I Store My Gold Safely? How to store gold safely is one of the most common questions we hear from clients who are purchasing gold for the first time. There are pros and cons to each that should be considered, but generally home storage or a private depository box are the safest options. Additionally, you should consider the size of the gold and silver you want to store, and if you expect to significantly increase your holdings. Bullion coins are small, and with only a few coins you can easily hold thousands of dollars worth of wealth. Graded and certified coins have plastic holders that make them slightly bulkier. Gold kilo bars and 100 oz. silver bars require even more space. It is difficult to estimate what percent of investors choose to keep their gold at home. This is primarily because most are wise enough to only let one or two trusted family members know. In the event of crisis or catastrophe, you may need immediate access to your gold. For example, in 1975 during the Vietnam War, when Saigon fell, its citizens were given immediate notice that they must evacuate. Going to a bank to withdraw money was out of the question. Luckily, many had gold at home that they carried with them and used to set up new lives elsewhere. PRO: You know the status of your gold and can access it virtually anytime. PRO: Privacy of ownership is a big incentive for many investors, so it is logical to want to keep gold at home to maintain that privacy. CON: Home thefts occur more frequently than bank or depository thefts. If it becomes widely known you have gold at home, your house may become a target. 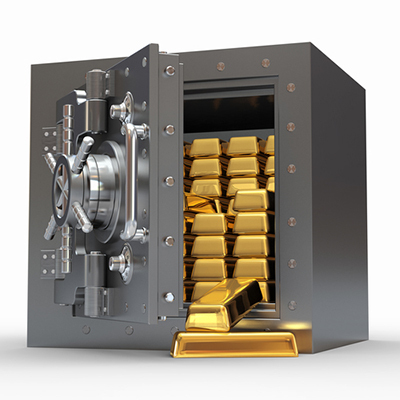 Where you store your gold on your property also has considerable weight on the security factor. What security mechanisms (home alarm system, firearms, surveillance cameras, etc.) do you have in place on your property? These have an impact on the safety of home storage as well as the storage method. It is highly unlikely a typical home burglar would know where to dig in your yard to discover buried gold. 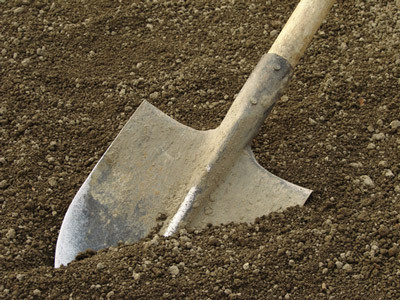 If you decide to bury it, you also want to be assured you or an appointed trustee can dig it back up. Would age, injury, or infirmary be an obstacle to retrieving it? Although gold and silver are resilient metals, you would also want to make sure they are protected from the elements by purchasing an air and water-tight lock box (with a locking mechanism for extra security). PRO: Out of sight. Burglars might know where to search the house for hiding spots, or see a safe (if you have one) and get it open. CON: Potential difficulty unburying. It can also be time consuming if you need them in a hurry. CON: Susceptible to elements, natural disasters, etc. PRO/CON: Consider the size. It is relatively easy to bury if it is a small amount, however, it is difficult if it is large amount or if you want to add to it later. 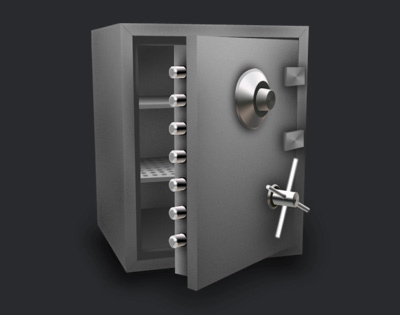 Safes and floor safes are the preferred method for home storage. They come in numerous sizes and specifications with options for dial locks, keypad locks, key locks, and combinations of multiple locking mechanisms. Large, upright safes are heavy to move and can be utilized for storing other valuables. Smaller safes can be tucked away in nooks and crannies. PRO: Large, upright safes are heavy and cumbersome for a burglar to move. They can also be utilized for storing other valuables. PRO: They are equipped to withstand fire and water damage (to certain degrees). CON: Large safes can be easily spotted. CON: Small safes, if found, can be easily carried away. CONSIDER: If you go for the safe option, buy a couple different safes and split your gold between them. Then if one is stolen, you have still got at least some of your stash left. One could also serve as a “dummy” safe and trick thieves into taking it, not knowing your most precious assets are hidden elsewhere. For those shopping for safe purchases and installation in the Phoenix area, a popular choice is Arizona Lock and Safe. 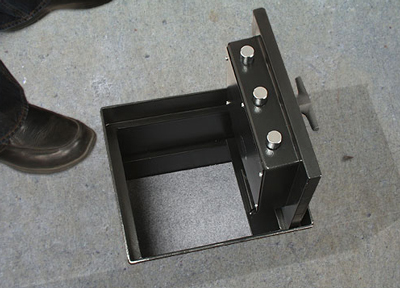 Floor safes are perhaps more secure than upright safes. They are much more easily concealed, and like upright safes, are equipped to withstand fire and water damage. They also have different options for locking mechanisms. In most cases you will need a lock and safe technician to install it. PRO: The most easily concealed and secure safe. PRO/CON: Immobile. Choose the placement carefully. This can be an advantage if it’s discovered. If you want to change the location, however, you will likely need a technician. CONSIDER: Install two floor safes and split your assets between the two in the event that one is discovered. Examples of unsecured hiding places are under the mattress, in an old coffee can, or behind a loose floorboard. This storage method is not recommended. Some might think of it as “hiding in plain sight” and secure in that it is “too obvious”, but this is not the case. It is extremely risky and the surest way to lose your valuable coins. CON: You or someone else could accidentally throw them out, forgetting they are there. 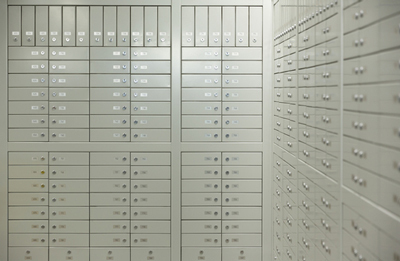 Bank deposit boxes have an array of risks associated with it. For one, your access to your gold is limited to the bank’s opening hours. But more nefariously, you could be denied access all together. 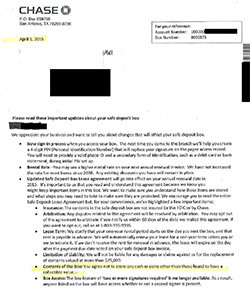 Banks like JP Morgan Chase have been known to send letters to their clients expressly forbidding storage of gold bullion (and cash) in their deposit boxes. A scan of the letter that Chase sent to deposit box owners is on this page, but you can click here to download the entire letter as a PDF. CONSIDER: In 1933, gold was confiscated by executive order. Having gold in a bank deposit box made seizure easier. PRO: It takes away the home risk of self-storage. CON: There’s a chance you may have it confiscated. It happened once, it can happen again. The Chase example is further proof. 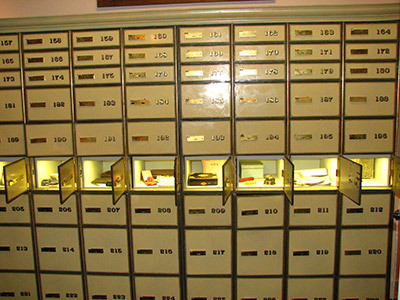 CON: Deposit boxes are not FDIC insured. CON: Financial institutions could collapse. If you are (justly) wary of the banking system and don’t want the risk of home storage, a compromise might be a private depository. They are not subject to the institutional risks of banks and many provide 24/7 access. PRO: Less personal risk than home storage. PRO: Not subject to unsavory banking institutional regulations. 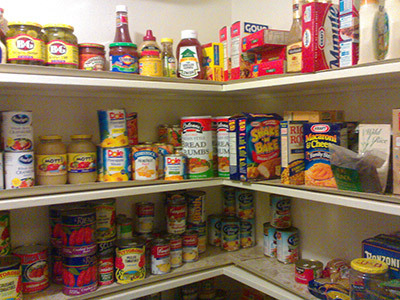 PRO/CON: You will pay a storage fee, but these are generally at a reasonable cost. PRO: Your box is insured, and the location is well secured. CON: Though you may have 24/7 access, it might be difficult to access immediately during a crisis depending on how far away it is or how much demand there is for access. Ultimately, it is up to the investor to decide which option is best suited to his or her lifestyle and needs. Most investors, however, shy away from the bank option because of the risk of confiscation and a mistrust of the current financial institutional system. Home storage can be the most secure if it is done wisely, but many find the private depository option affords the most peace of mind. When choosing your storage option, it is a good idea to remember some primary reasons we own gold in the first place: privacy, liquidity, and tangibility. Considering those three values is important when deciding which means of storage is best for you. How important is it to you to have 24/7 access to your gold? How confident are you in securing your investment in your own hands? If you said #1 is important to you and you are confident securing it yourself, we would always recommend self-storage of precious metals. Having your gold within arms reach is critical in times of crisis or disaster, but most importantly, you are in control of your own investment- with literally zero counter-party risk. Again… privacy, liquidity, and tangibility… isn’t that why we own gold in the first place?